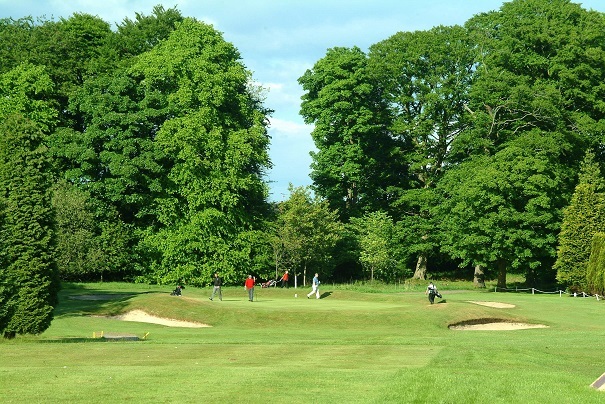 Bishopbriggs Golf Course is a traditional parkland style beautifully landscaped and maintained and perhaps the best in the area. Our largely flat course with few blind shots is presented in front of you on each tee and encourages you to play your best. We have created a superb custom built Academy Practice Area with covered bays and practice greens for golfers of all abilities to develop their skills in all aspects of the game. 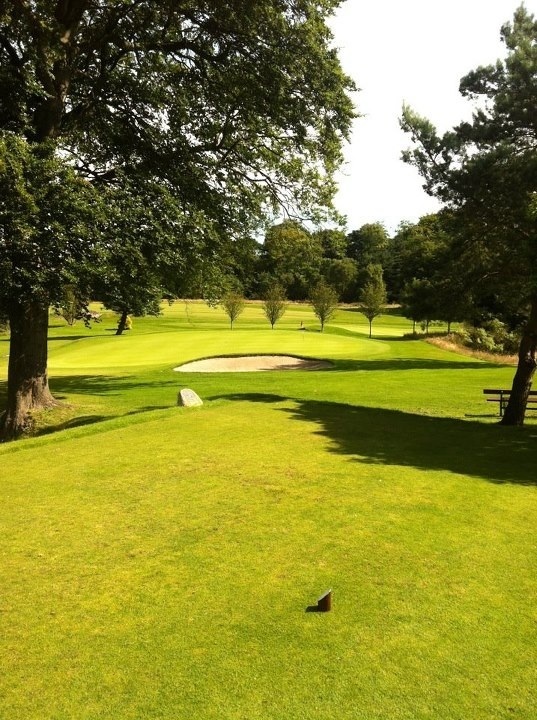 Our Course Showreel and Hole descriptions provide an excellent introduction and description of our superb golf course. The successful tee shot centre left will open up the hole as it dog-legs to the right. For the approach to the green play safe and aim for the centre of the green irrespective of the pin position. Any shot missed on the right leaves a tricky pitch. 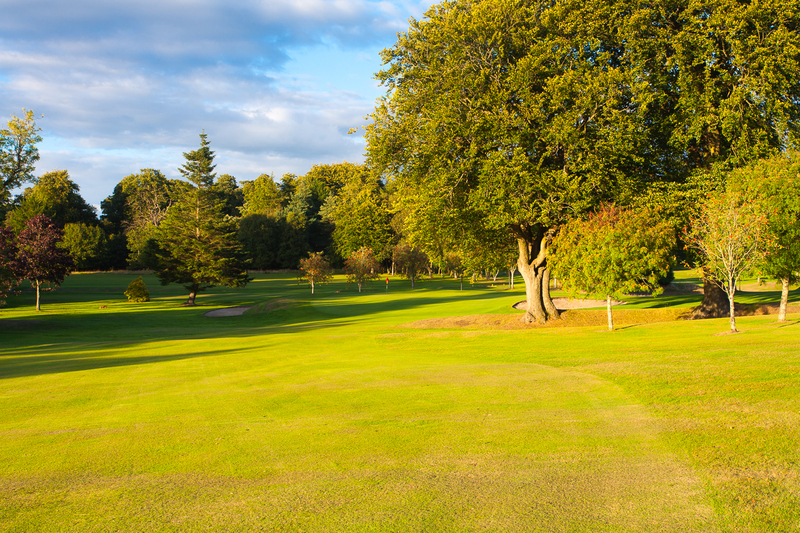 A rewarding par 4 can set you up for the rest of the round. A short par 3 which should not be underestimated. Negotiate the burn in front of the green, which is protected by 3 bunkers. 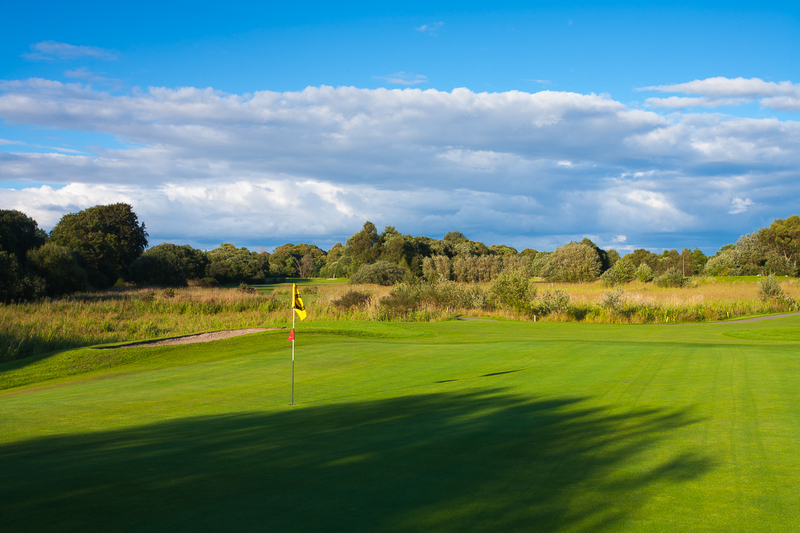 Your par will be achieved by taking one more club than it looks. Distance is no advantage for this straightforward par 4, and is perhaps a birdie opportunity for some. Many play short of the ridge in the fairway to leave a full shot to a plateau green, which should favour the left side. Miss the green right, and your par becomes a struggle. A challenging par 4 up the slope. Hold your drive left of centre to set up your approach to the green. A successful shot to the green will be to the left half since the bunker protecting the right will gather the weaker shot. A long green makes club selection critical. A short dog leg par 4 with accuracy off the tee paramount. A tee shot of around 190 yards provides the best view of the green down a narrow tree lined avenue and the longer hitters can reach the putting surface with a well placed tee shot but missing the fairway left or right can be fatal. The very large green is well bunkered and has many complex borrows to add to the difficulty of the hole. This hole requires the tee shot to be positioned or the approach to a green with a narrow entrance becomes increasingly more difficult. A large tree on the right side of the fairway is balanced by the out of bounds to the left side. The green is steeply banked on three sides punishing wide and over hit shots and a weak strike will inevitably end up in one of the front bunkers. A medium length par 4 with a cross burn a short distance from the tee to catch the miss hit and a lateral ditch to catch the slice. The shorter hitters will require to negotiate the cross bunkers to reach the green which slopes deceptively from back left to front right. The view to the right side of the green is augmented by the first stage of the reinstatement to its former glory of a HA-HA wall. The first of two par 5s on the course where the longer hitters must beware the bunker hidden from the tee to the right side of the tree lined fairway. 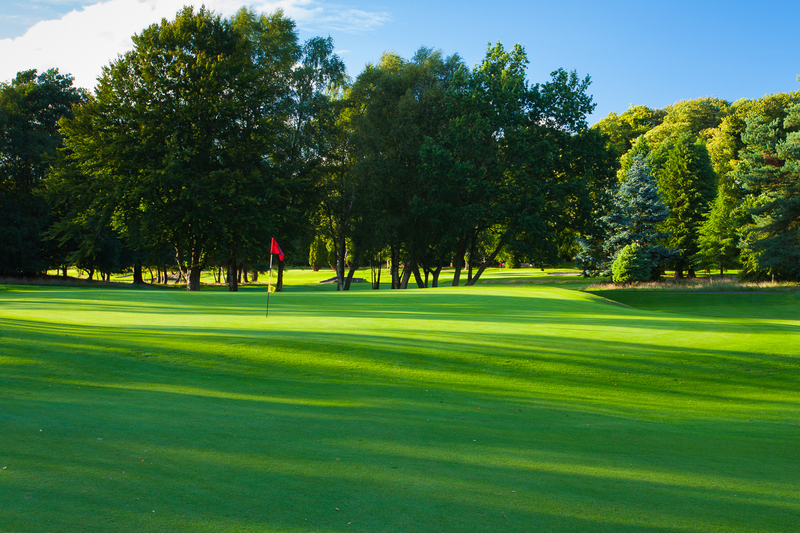 For most players the key is to position the second shot to the left side of the fairway to prevent the approach being impeded by the large tree and the bunker to the right side of the undulating green. A straightaway par four which, into the prevailing wind, tends to play much longer than the yardage. The cross bunkers must be avoided as these will be in play for all but the longer hitters. The approach to the green tends to be foreshortened by the flat area to the front and a bunker to the right side waits to snap up the weak shot. 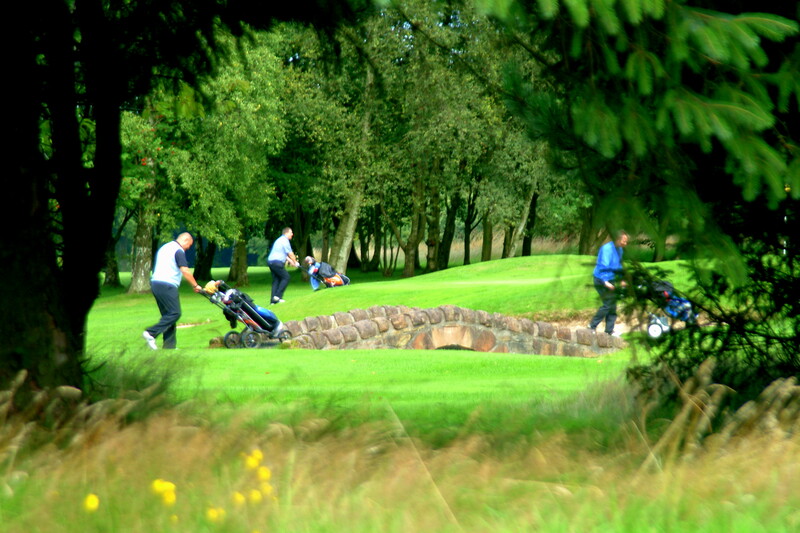 Undoubtedly one of the course's signature holes. For years the source of devastating flooding but with the investment in drainage now the driest fairway on the course. The blind tee shot must be struck truly to set up the second shot over the burn in front of the green with its horseshoe of mature trees. The shot must played "all the way to the putting surface" as the steep bank in front of the green prevents shots "bouncing up". From the tee the pot bunkers to the right of the steep fairway lie in wait for the shorter hitters. The brow of the hill is the target for most players which permits an unrestricted view of the deceptive front to back slope of the green which is only receptive to the truly struck shot. Everything else inevitably finishes off the back or side of the putting surface with the cautious pulling up short leaving tricky recovery shots. 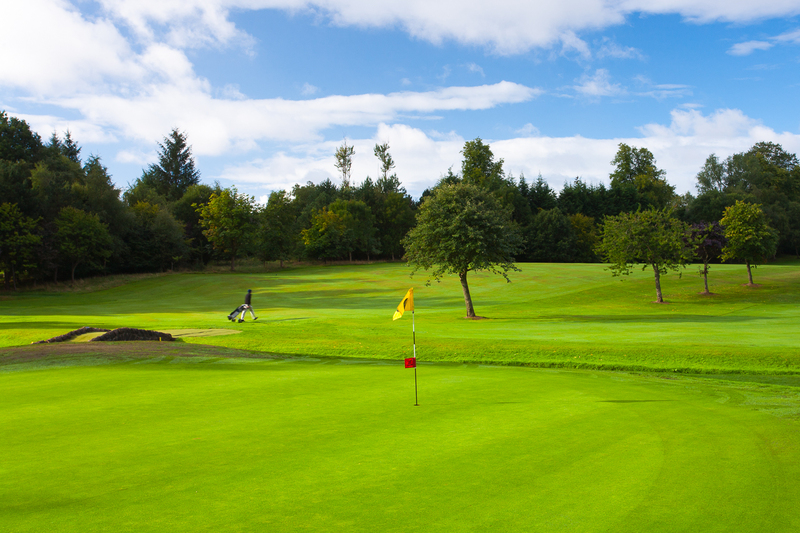 The longest par 4 on the course is enhanced by a dog leg to the left at Driving distance. 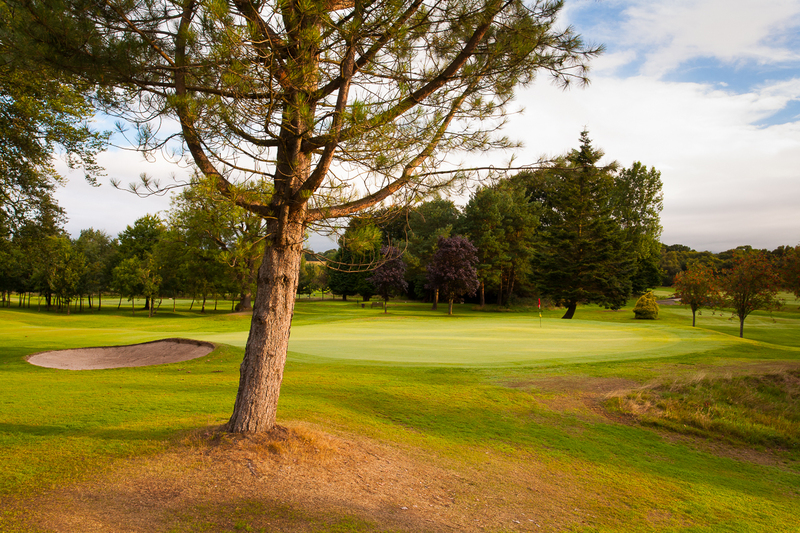 Though bunkerless the Green is well protected by out of bounds tight to the left, heavy rough to the rear and a raised front edge which ensures a challenging second shot to gain a two putt par. 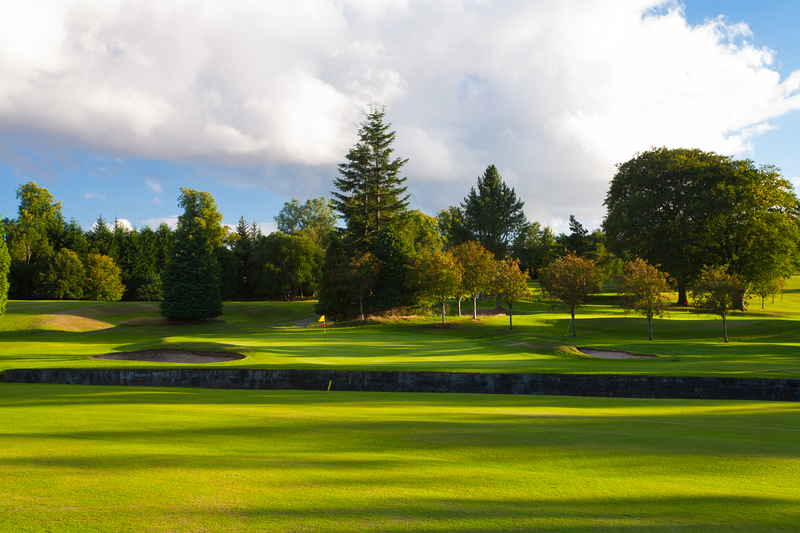 A medium length par 4 with a relatively wide fairway but beware the second of three burns which will catch a poor tee shot and a strategically placed bunker on the right side of the fairway to catch the longer drive. The approach shot to the green is over the third burn, narrow but with a large catchment area, to the biggest green on the course, some 40 yards deep. Once on the green, perhaps the biggest challenge of this hole is the steeply tiered and contoured putting surface and avoiding the three putt. 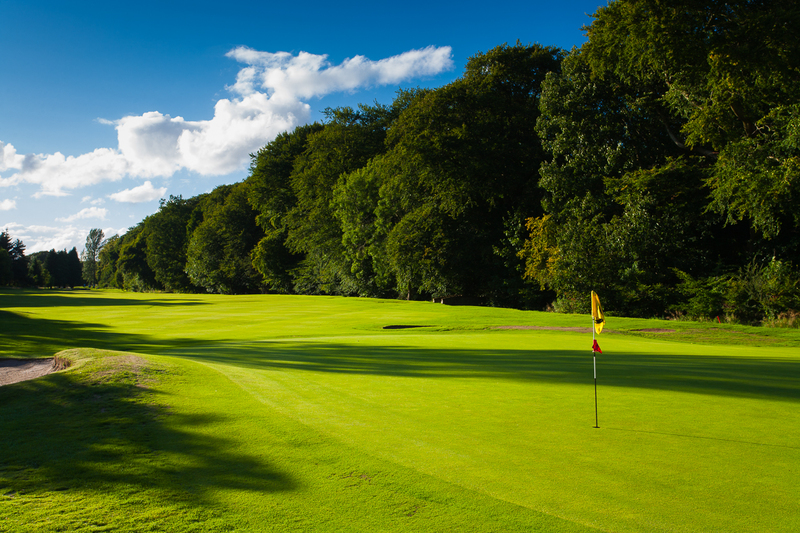 A medium length par 3 created in our Centenary year provides one of the stiffest challenges on the course. The tee shot from the raised tee is visually daunting with a long carry over a water hazard to a smallish sloping green. The safest line is well protected by a large bunker 20 yards short left of the green with a further bunker capturing balls drifting to the right. Miss the green at your peril – recovery is difficult to say the least. A longish par five in the opposite direction to the 13th with the same three burns to negotiate. Again, this has a relatively generous fairway off the tee with a large lateral water hazard to the right catching the wayward fade. The second burn, around 350 yards from the tee, now comes into play for the second shot which must be played into the narrowest part of the fairway with bunkers left and right. Once negotiated, the approach to the green is over the third wide burn to a relatively small but level green. A par 5 here will always be welcome. to gain position for an exacting second shot. The drive, often shortened by a sloping fairway, can leave a difficult shot to a green across a burn which runs along the right side of the fairway. 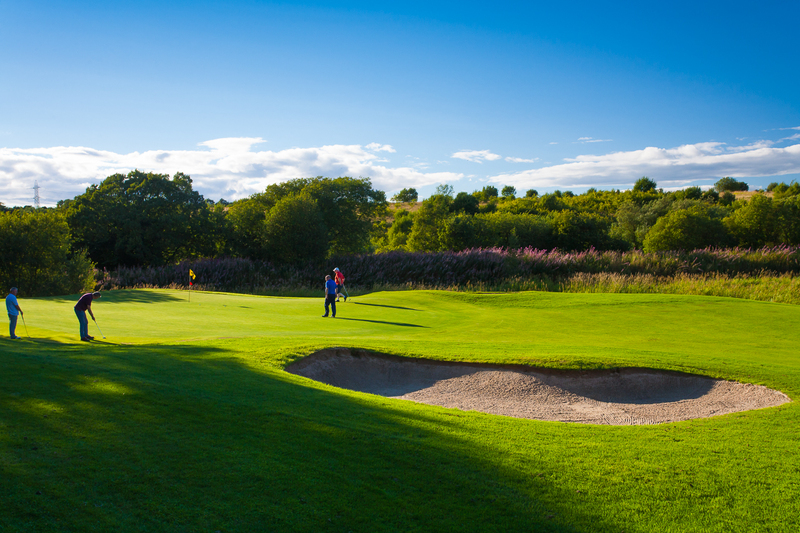 A pin at the front of a sloping green and bunkers at both sides still offers a challenge to those who do not take on the burn with their second shot. Short par 3 to a raised green again using the burn as a feature and bunkers on both sides to catch the weaker tee shots. 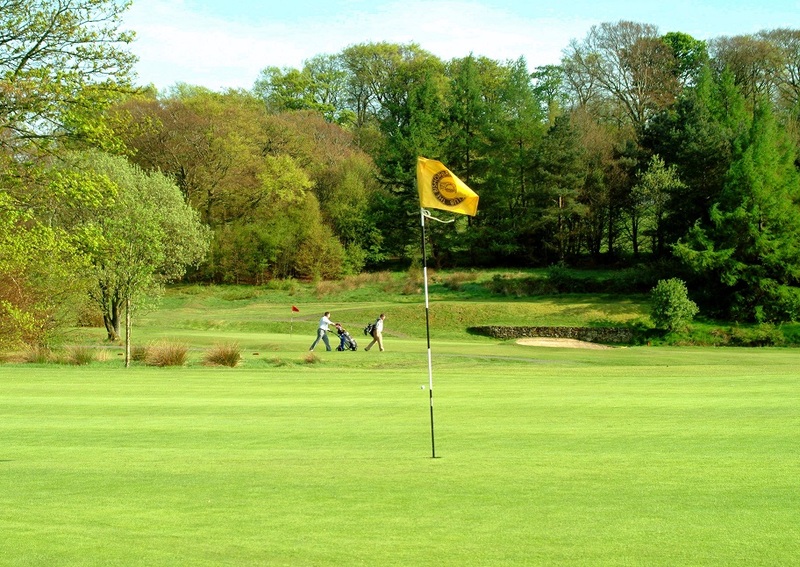 Difficulty is increased by positioning of the pin to the front of a green with a steep bank from the burn. 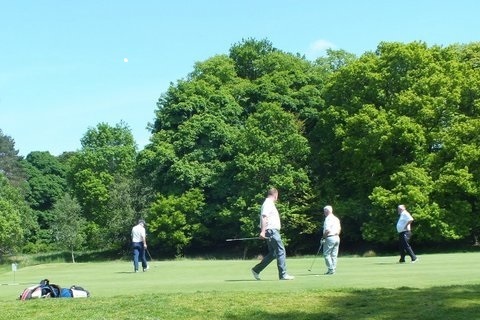 If the green is missed it leaves a difficult pitch from all sides to match par. This aptly named par 4 bordered by trees with the burn and out of bounds running down the left side for its full length is a good finishing hole. The second shot to a long sloping green with a narrow entrance is increased in difficulty by front bunkers and small banks on each side.